This program focuses on the forecasting specialization of the workforce management process. It provides the fundamental knowledge needed to accurately predict workload. You will learn how to collect and analyze historical workload data. You will master advanced forecasting techniques. And you will learn how to accurately forecast call volume and average handling time (AHT) down to 30-minute intervals per day. The program WFM - Forecasting is also included in the bundles Staffing Essentials and Call Center Staffing. The most critical step in the workforce management process is the collection and analysis of historic call data. The best predictor of future call workload is past data. The key is gathering the right data. This interactive course identifies the sources of historic call data, outlines the process of data validation and adjustment, and describes how to incorporate business drivers into your planning. It also outlines the data collection considerations crucial to your workforce management and planning process. You’ll learn where to look for data and how to scrutinize that data to make sure it’s appropriate to feed into the forecasting process. You’ll also review mathematical techniques for analyzing data and making needed adjustments. Last, you’ll be taught the role of business drivers and how to incorporate them into the planning process. Identify the sources of call center planning data. While forecasting approaches can range from a simple gut feeling to complex mathematical modeling, this course covers the most common forecasting techniques used by contact centers today. It outlines the steps for developing a monthly, daily, and half-hourly forecast of call volume and workload. 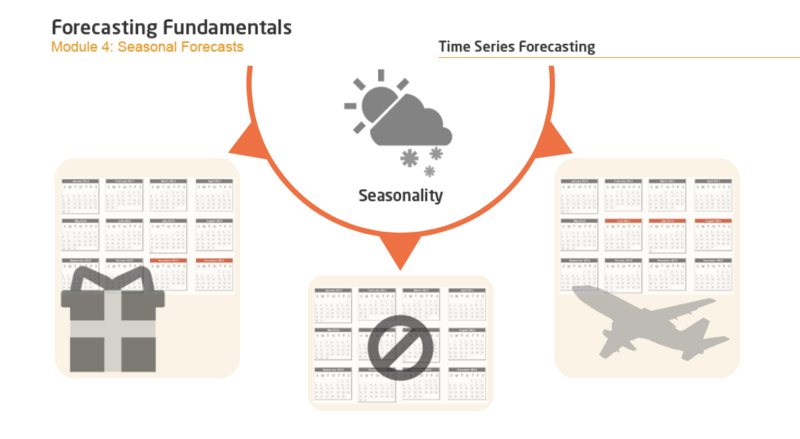 You’ll learn the risks and benefits of different forecasting techniques, how to account for seasonality and how to apply time-series analysis to create a future forecast using historical data, with an included case study and an exercise to complete after the class. Outline the most widely used forecasting approaches used by contact centers. 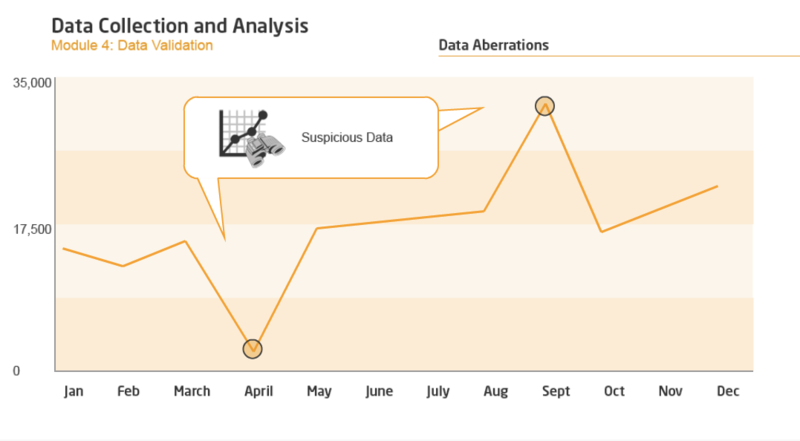 Complete the step-by-step process of time-series analysis. Calculate trend rates, seasonal patterns, and day-of-week/time-of-day factors. This course supports workforce planners in developing advanced forecasting skills. It teaches how to measure forecast accuracy and provides approaches to fine-tune call center workload predictions using techniques such as regression analysis and correlation coefficients. 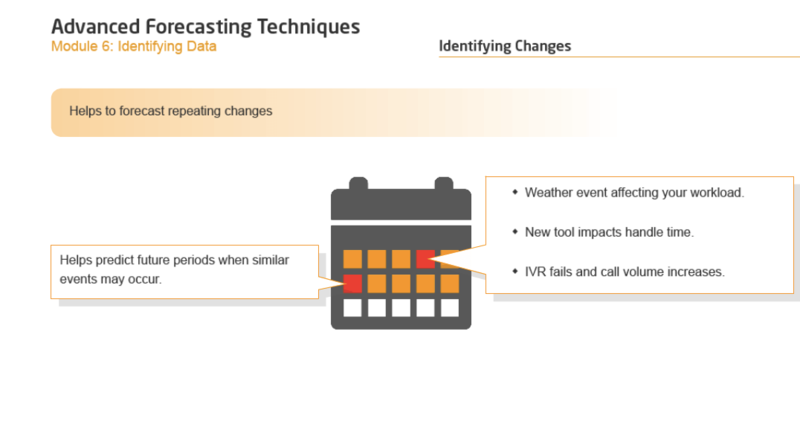 Whether you’re forecasting with spreadsheets or with workforce management software, you’ll learn how to improve the accuracy of your forecasts. This advanced forecasting course will explore various approaches to help you optimize your call forecasting process, in order to prepare for an effective scheduling process. Calculate forecast accuracy using various methods. Apply correlation coefficient techniques to fine-tune forecasts. We offer bulk discounts for orders containing 5 or more seats for a program or bundle. Check our pricing options for WFM - Forecasting below. If you apply for bulk pricing, please contact us to place your order. The WFM - Forecasting program is designed by call center experts to provide a practical and engaging learning experience. Start today.